Any time Jack is naughty, his mum tells him what’ll happen if he doesn’t shape up: she’ll take him to Mrs Cole. 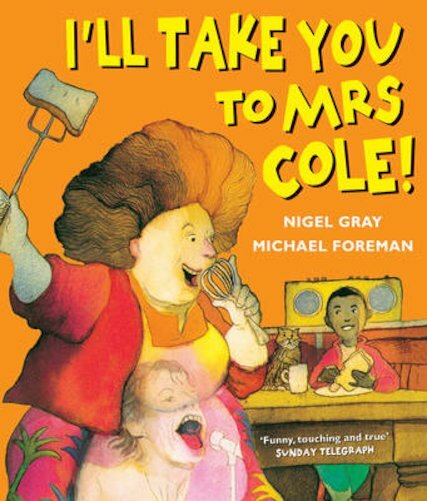 According to her, Mrs Cole is a strange and scary woman who lives in total chaos, and knows just what to do with naughty little kids. But one day Jack runs away and finds himself outside Mrs Cole’s house. She invites him in, and he finds that her house is welcoming, cosy and warm! It’s busy, noisy, kindly and far from frightening. Oh dear! How will Mum stop Jack from being naughty now?